Far from being militants, they were members or supporters of a rights movement that has been highlighting abuses by Pakistan's own military, in the ethnic Pashtun regions along the border with Afghanistan. The drama unfolded against the backdrop of speeches from the Kashmir rally in which speakers listed rights violations in Kashmir by the Indian army, and right in front of the eyes of the waiting media. Dozens of television and newspaper photographers raced from one end to another trying to capture each arrest on camera. But it was just their journalistic instincts kicking in - not a race to be first to actually cover the drama. 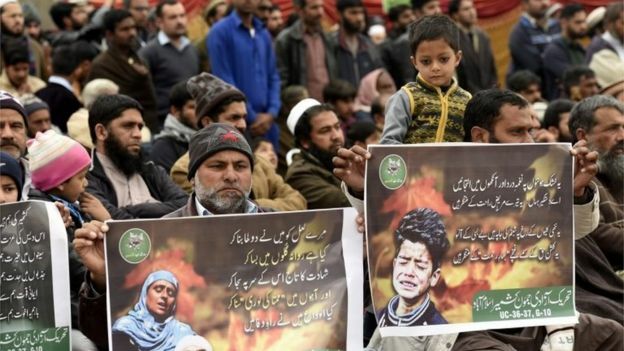 Because, while their TV channels thoroughly covered Kashmir Day events all over the country, including Islamabad, none of the videos of the arrests of the activists made it to the TV screens. Nor did they make headlines in the morning newspapers. ’The six tribal districts of Pakistan - collectively called the Federally Administered Tribal Areas (Fata), and turned into a vast sanctuary for Taliban fighters fleeing the US invasion of Afghanistan after the 9/11 attacks - have been likened to an information black hole. Many say the Talibanisation of these districts was allowed by the Pakistani establishment under a policy which sought to control Afghanistan with a view to prevent it from emerging as a strong regional ally of India, Pakistan's arch-rival. Subsequent factionalisation of the Taliban drew the Pakistani military into tribal rivalries, triggering large-scale rights violations both by the military and the Taliban. The number of civilians killed in the conflict runs into thousands, and about three million people have been displaced, many of them many times. For years, the local population caught in the conflict were too afraid to speak about transgressions, until the PTM burst onto the scene last February and started to circulate well-documented cases of abuses by the military and the Taliban, as well as the nature of the relationship between the two. 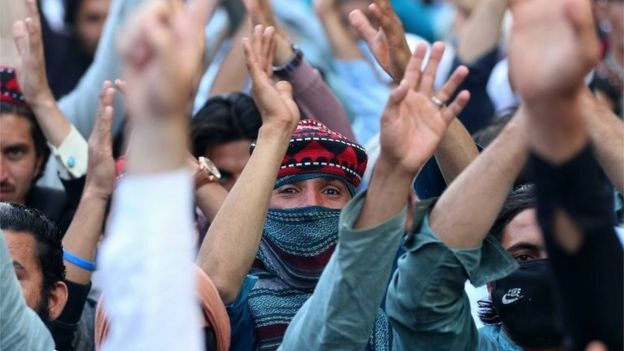 The material, the PTM's peaceful tactics and its insistence that the authorities treat people in the tribal areas in accordance with the law, as elsewhere in the country, caught the imagination of the media, and progressive elements across all ethnic groups hailed it as a good omen for the country's quest for democracy. But then in the second half of 2018 the media came under increasing pressure, reportedly from the military, to stop covering the PTM. One by one, columnists offering analysis of the movement's message and its activities were dropped - not only by the marginal press but some of the most respected newspapers of the country. And any mention of the PTM completely vanished from the television screens. More recently, the authorities have gone a step further and have begun breaking up PTM gatherings, confident in their knowledge that it is not going to get play in the media. 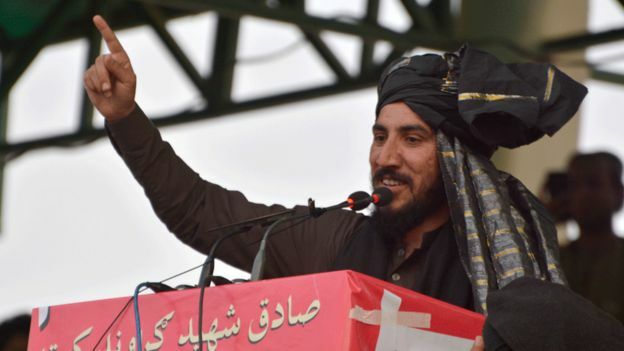 Over the weekend, police in Balochistan province cracked down on one such PTM gathering in which a prominent activist, Ibrahim Arman Luni, was killed. Tuesday's gatherings were called by PTM chief Manzoor Pashteen in protest at Mr Luni's killing.